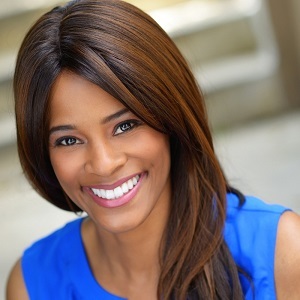 Germany Kent is a social media expert, best-selling author, business consultant and successful commercial actress in Hollywood. She is a former award-winning university administrator and corporate executive, and is ranked as a top social media influencer. You Are What You Tweet will be her 10th social media self-help book, she is also the author of The Hope Handbook Series: The Search for Personal Growth. Well Germany, you have done a lot of things. I’m reading your bio and then reading Wikipedia and websites, so I’m seeing social media influence then I see beauty pageant winner and then I see movie star and then bestselling author and then human resource executive – where did that come from? Then TV personality and actress and consultant and philanthropist. Are you going to get a job? A career? Where are you going with all these? I love it. That is too funny, but let me just say let’s just take the time to reach out and help others whatever capacity that we’re in, wherever God puts you for that moment, just be a blessing to others. Don’t categorize it, don’t try to understand it, whatever the vibe is, as long as it’s positive in that space that you’re in, just try to make a difference. I move when God tells me to move. If he tells me that I have something else for you, I don’t hesitate. I listen and I’m obedient to him because I know he has my best interest in heart and Chris, I’m telling you, it has been such a journey. You talk about the roller coaster ride at Libertyland that we grew up on and how they were just falling apart. I’m telling you sometimes in my life, I just felt like my career was falling apart and things were not going the way that I would have liked for them to go because I was on the fast track. I was a career person before I even had a family. In fact, I was an executive and I stepped away from that lifestyle in order to honor God and do my marriage and really give it 1000%. Then we had the kids and I decided to be at home mom with the kids for a few years. I just really try to be here now no matter what space I’ve been in and I’m thankful for all of the things that have happened and as I look back over sometimes I start laughing and say “Oh, did I really do that?” “Was I involved in that?” It’s just funny because people will say things to me that, oh you did this and you did that and I just always put my hands up, thank you Lord. Hallelujah. Just thank you. I’m just grateful. I’m so grateful and whatever is next, if I could go back and work at Disney World, hey sign me up. Absolutely. I’ll do that too. I would do it in a heartbeat. I was just talking about it the other day. My husband thought I was crazy, but I said you know my dream job would be to go and work at Disney and incorporate the kids some kind of way just where we could do family stuff, but I could do single person stuff during the day like go and say “Oh, we’re doing this at this restaurant today, hey guys I’m taking you to Epcot today” and then some days we can have everybody together and the kids and, you know, that would be a dream. That would be such a dream. My kids would love that too. They’d be like, Dad, just set us up with some fast passes and you go do your thing. We’ll see you later. That’d be perfect. Yes and why not try to do things now at this stage that really teaches the kids about culture? That’s a huge thing, I think, that – you know, life is about fun, but it’s also about sacrificing where you are a teacher, where you are acting as a vessel, where you’re providing that hope and inspiration and motivation to your offspring. That is so important because they’re watching us. Yes they are. You’re right. You’re just jumping right in here so I’m going to ask you question number one. Just so you get a little more background here, Germany, each of our guests answer five questions about hope and I ask the same five questions to everybody I talk to on I Share Hope. This began as a research project just for me defining and growing in hope, learning more about it as a person in recovery and trying to just overcome some things. This has become a really fun project because I’m getting to interview 1000 people from all over the globe who are leaders in hope and you are definitely one of those. We’re trying to be very diverse and getting people literally from everywhere on the globe. Question number one, give it your best shot. Question 1: What is your definition or your favorite quote about hope? I have two definitions. The first one that I would say for hope is hold on, pain ends. Well, what do you mean about that? It’s a brighter day ahead. That’s the cookie cutter answer. Hold on, pain ends. It’s going to come to a close and this too shall pass. Just hold on. Pain is going to end. At some point, all storms have to end. That’s my first one. The second one is have only positive expectations. Have only positive expectations. If you expect better, better will come. It’s your mindset, it’s what you tell yourself and self-talk is the most important thing. I always tell my clients, make sure you’re saying things to yourself that you want to come true. Self-affirmation. Have only positive expectations. Did I do okay? You did great. I got two answers there. Wow. This could be two episodes. Beautiful examples of hope and a way to say that. Those phrases are perfect. So, taking those answer question two. Question 2: Who has given you the most hope? Who’s done that for you in your life? I would have to say, definitely for the first one when I speak about pain ending and some of the adversity that I have had to overcome in my life, be it a loss in a pageant that I thought that I was a sure winner or something dealing with race relations or not getting a promotion on a job that I thought I had earned or just recently, not being accepted into a doctoral program. I’m still living and things don’t always work out the way that you would like for them to even though you invest $300 to go take the GRE and you pay the $125 application fee and you invest your time going to the meetings and doing all these different things and someone says, well, you know, it’s because you don’t have the two years required of past teaching experience that we would like to see. Well, what about all these other experiences that I have? Don’t some of those qualify? It’s one of those things that you have to know your worth and you have to believe in yourself. Even though it hurts you, you have to know that that’s not your blessing and something else is going to come. No person has been more of an influence in teaching me that pain ends than my 92-year-old grandmother. She’s such a light. She is a woman of faith, she’s a beautiful spirit and she really is my shining example of hope. Yes. She’s 92 years old and she is such a beautiful soul. I’ve spoken with her today. We talk every day. Not every day, every other day because she’s so wise. When I talk to her it’s almost like I’m a sponge. I’m trying to soak up all of her wisdom. She is a shining example of what humanity should be in terms of kindness and generosity and charity. She’s just a giver and she’s always been a giver and she’s a giver of hope and she’s a giver of love and she’s a patient lady and she listens well. I love that about her. I would have to say on the lines of having positive expectations, that would go to my mom. That’s the prize that would go to my mom. If there were a trophy Chris, I would give it to her because she’s always telling me to keep going. Hold on. She is like the person that used to say to me, “be the little engine that could…” literally. She tells me that. That’s great. Amazing. Those two women, this grandmother, is it your mom’s mom? It’s not. It’s my dad’s mom and my dad, that guy is funny because he’s not a wise wordsmith even though he was an educator for 45 years. He’s more or less a fun kind of, you know, go with the flow kind of… Luck, he believes in luck. He’s one of those people that – he’s the luck of the draw kind of cowboy. He’s into the John Wayne stuff. Anyway, he’s different from his mom. He is very different and she is a beautiful person and, you know, my mom and my grandmother are the same type of women. They are very strong and committed to their faith. They’re just beautiful people and loved by many. Beautiful. That’s a great thing to be said about them. That’s just a great legacy, you know? Question 3: Tell us about a time when hope was drifting away from you and you felt like, I’m just not going to make it through this. Everybody’s got their own stories in life, but we all have our down days and our good days, but somebody like you who’s so out there in the public and had so many successes on so many levels, people would think well she’s successful, she’s obviously got money or she’s beautiful or she’s got connections and she lives here… But, what really goes on back there that’s made you say I got to really hang on to this and I got to keep believing in these truths about hope? Chris, you know, I would have to say one of the lowest periods in my life was when we lived in Texas. I won’t say the name of the city because there are some beautiful people that still reside there and most of them know the story that I’m about to share with you. I had so many problems with race when we were there. It really broke my spirit because I went to two predominantly white schools. One Mississippi state and one University of Alabama. If you know any history about the University of Alabama, you’d know that George Wallace stood at the footsteps of the stairs there at the main building and said that no black guys would ever come and play football for him. He came out to California and they played USC and he went back to Alabama and he said oh, I have to get some black players for my team because they got beat really bad. So, I had no problems whatsoever going to Alabama and going to Mississippi state and even been raised in Mississippi, having lived in Arkansas, having lived in Georgia, having lived in Tennessee, I have never experienced any problems, but when we were in Texas, I had so many problems. I just felt really low. I felt really bad to the point where I stopped going out. I would not go out of the house. I had just had our second kid and we needed Pampers and we needed wipes and different things for the baby, you know, babies need stuff. I would go out and there was one time in my life when I was very frugal. I was a coupon mom. I mean I would not buy anything unless I had the coupon for it. I had these coupons one time, one for Pampers and one for some Huggies wipes and I remember the cashier saying to me “Oh, we don’t use coupons here”. It was at a Target store. She told me “we don’t use coupons here” and so the manager came over and he said “what’s the problem?” and the cashier said “I’ve never seen anybody use coupons” and the manager said “its okay”. Well, because the manager came to the register and the line was being held up, the security guard came over to the register and he walked me out. When we got outside, he said “you can’t even fart in the wind out here”. That’s what he told me. I said, what? He said “these people are so tuck-up” and I said I’m just trying to use coupons, two coupons. He said “yeah, I know but these people, these are million-dollar homes right around here and so I don’t know if they think that you should be in here or what…” he was really nice. He was a white guy and he was very nice to me. He was just very direct because of the way that that guy had treated me, the cashier. I remember two or three other incidents that occurred while we were there. It was just such a negative experience where I just lost hope in people. I just thought that this is not the way that it’s supposed to be, but every time I go out there is an incident and I would cry. I will call my mom and she would say, “Just have positive expectations. It’s going to be okay. It’s going to get better” she used to say. “It’s going to get better” because I hated it. I literally hated it. I just stopped going out. If I needed something, I would send a list with my husband and so finally I told him that we were going to have to get out of that situation because I had other friends that were there and they were so nice to me and they kept trying to get close to me, but I would not allow them because of the negativity that was occurring that they had nothing to do with. So I said, oh God, this has to change and I told him that we needed to move. He started looking into other areas for us to move and we wound up in California and it has been like night and day. That was such a positive move just to go from that negative stuff to now. It’s just really been healthy for me because I don’t want to lose hope in people. I believe in people. I believe that we have a power that rests when we are in groups, you know, the more we come together, the stronger we are. I just don’t believe that people are that cruel and that nasty. Some of the things that I witnessed firsthand, if you had told me that I would go through that, I would not have believed you. There is hope. That’s the ending to that. There is hope. The cycle can be broken. Yes there is and you did exactly what your definitions were. You believed that it would get better and you really pursued and kept going on and it got better. I’m noticing your husband in there too. Obviously, it was just so great to hear what you needed and say, “great let’s find a place and get out of here”. Yes. I’ve been so blessed with my husband. He is so patient and he is a warm-hearted individual and he loves me and he loves our family and he listens to whatever my needs are. If I tell him or if I express to him that these are my concerns, he really does a phenomenal job of trying to make it right. That’s his personality. He’s an Aquarius person. They really try hard. He’s also an ISFJ and they really work hard at trying to understand the situation and then trying to make the situation better. I thank God for him. I got blessed with that guy. Now, almost 14 years of being married, I can say that we’ve come a long way just being together and working as a team. It’s just been a great journey. That’s great to hear. It really is. I love it. Fourteen years, good for you. That’s great. So, you’re doing your daily life and I know you’re doing a lot of things in public, but tell us some of that but also what are you doing when you’re just crossing town or going to Starbucks? What are you doing to share hope with other people around you? Crossing town or going to Starbucks? It starts with a smile. I think when you walk out of the house, when you get to these different places or business, you have the power to change someone’s day, the course of their day, how things are going in their day just by smiling at them because maybe no one else has smiled at them all day. I think you have to have a sense of humor with all of it. Actually, that’s a part of leadership and getting along with people and getting things done. It’s actually showing that you care about other people whether that is giving them a positive word or like a set of smile because a smile really does go a long way. There was a movie that I loved growing up and they just did a remake of it not too long ago, I think in December and one of the key things in that movie is that that girl would say “you are never fully dressed without a smile” – guess that movie. I am thinking back because I so hear the same thing. I’m like, oh my goodness what is that? I’m going to give you some more hints. It says “…just thinking about tomorrow”. Yes, Annie! One of the things that always, always stay with me as a kid growing up, as a young adult and now that I’m an adult with kids, I think about that all the time. In fact, I share that, we watch that movie a lot in the car when we’re going places. It’s so funny because it says “you are never fully dressed without a smile” and if you think about it, that’s true. It’s the one thing that you can really give away, that you can exchange with another individual that has so much power that you don’t even realize how powerful it is until you give it away and someone gives it back to you. If they were to do that exchange with you it’s like, wow, I just smiled at them, they smiled back and you can see the hope in their eyes, Chris. You can see their eyes light up because you smiled at them. You should try it. When you go to the store, just try it. If you’re meeting someone, head-on smile at them. Granted the first few people may not smile back and so I have to put that disclaimer out there and just say that they may not, but that person will just take it and go on. You keep smiling because eventually, somebody’s going to smile back at you and it’s going to warm your heart and you’re going to feel that tingle like, wow, they just smiled back at me. That’s the first thing that I say to everybody. Just make sure when you go out that your presence is known that you’re a positive individual and you’re bringing light into the world. The next thing is, I always encourage people to do this. It’s such a simple task, but it can really make a difference. Give a compliment to somebody. When you go out, find something to say nice about somebody. “Hey, I like your shoes” and they’ll look down, “Oh, thank you. I got this over at such and such”. Usually they’ll tell you where they came from. “Your hair is nice. I like that color.” I make a point, when I go out to compliment at least five people. Whatever store I’m going in, I don’t care which one it is. I make a point to compliment people. Oftentimes it’s a lot more than five, but I try to do that because oftentimes people go there whole day and nobody says anything nice to them. Wow. That’s really practical. It really is. You’re answering question number five as you’re telling us what you do in question number four. Question 5: How can we start to share hope today or how can we grow in hope in our own lives? Those are both really practical application things right there. What are you doing for you to build hope in your life? Words of faith. It’s always about self-talk and alleviating worry and anxiety and just gaining control with stress. That’s the biggest thing – to self-talk and self-control just knowing that there is brighter day ahead, always having something to look forward to. I always tell my clients to make sure that you put something on your calendar for a few months away that you know you’re going to be going to. The Grand Canyon or you know that you’re going to be going to Lake Tahoe or you’re going to Vegas in a few weeks. Make a point to do something for yourself. Get away from your current environment. Just a room to live. There is a world out there that is waiting on you to experience it. The more you experience things in the world, the more you start to appreciate and value life every single day. That’s what it’s all about. The more gratitude you have, the more hope you have. All right. So you said smile at people, give five compliments everywhere you go. You know, you’re not the only one who said smile so far and believe it or not, that’s a really common answer. I think that’s fascinating. I would have never guess that starting this project. Does that mean I’m a grumpy person? No, it doesn’t. Maybe you just haven’t thought about the impact of it. Maybe it’s just not something that you’ve thought about, but once you start to practice it, it will become a habit. It’s like the more you do it…First it’s a pattern and I tell my kids all the time, once you do something enough, it becomes a pattern. Once you do the pattern enough, it becomes a habit. Once something becomes a habit, it’s hard to break. So, I’ve been doing that a long time so it’s a habit. Okay so, for all of us not smiling enough people listening, like me, we’re talking to a beauty queen and she tells us to smile. I’m thinking it’s really not fair at all. That’s too funny, but I think I was smiling when I was baby. Some of the pictures I see from when I was a baby, Chris, I didn’t have any teeth and I was already smiling. My mom said I was such a happy baby. I was just happy to be here then. Fantastic. You said compliment five people. The five there rang a bell for me, struck a chord, however you want to put that in there, but it’s stuck because it put a number, it put something so tangible. The complimenting and being grateful, thankful are so many great attitudes you can have towards others, but when you just put a number on it, okay, I’m going to roll into the grocery store or roll into the office and try to compliment five people in the first half of the day or whatever. That’s a really interesting project. That’s fun. Mm-hm. It’s encouragement. It’s a way that you can encourage other people. It’s a mild encouragement, but it’s still encouragement. Once that encouragement becomes a habit, you’ll see it will start to really impact your life because then you’ll see that you’re making a difference in the lives of others and there is nothing more gratifying than knowing that you are making a difference in the lives of so many other people. Great. Great point. Your last one, self-control and you’re really targeting self-control of the mind. Just taking control of those thoughts, don’t let yourself spiral down, having those goals, something positive out in the future you know you’re working. If it’s a great meal out or if it’s a big trip, it doesn’t matter. Just you know something coming and go experience it. Eat the great meal slowly and don’t text while you’re driving past the Grand Canyon. Look out the window and enjoy it. Just really seek into life and catch it. I love that. That’s great. That’s it. That’s it. You got it. You summed it up. Those are the secrets. I’m telling you, people really are lacking in the department of other people giving them a boost. I just know that from jar and I used to always give my staff little post-it notes saying “have a great day”, “everything looks nice”, “your desk looks nice” or just I would find stuff to compliment people on. You know what I found as a manager? People would really respond to me better when I gave them compliments for doing their job well and whenever I needed something, it got done. People need hope. They feed inspiration. They want to feel like they matter. Everybody is wearing as sign that says “notice me, make me feel special”. Everybody. So true and yet we all think that nobody notices us. We’re most focused on that, we don’t focus on…yes, it’s that little vicious cycle. Wow. Can’t imagine a better way to put those things. Smile, five compliments a day or per situation you’re in, that’s a great way to do that, and then self-controlling your own thoughts, just really working on how to control those thoughts and take your thoughts captive and do something productive and give your thoughts a place to go that’s going to be healthy. Fantastic. So, Germany Kent, how can we follow you? Where are you out there in the world? I know you’re a lot of places that we can track down, social media, so fire it off, what do you got out there? You can follow me on Twitter and that is @GermanyKent. Germany like the country and K-E-N-T. I’m also at thehopeguru.com. I love it. I also found your website. Is it the GermanyKent.com? That’s another one. That is another place where you can go and learn as much as you’d like about attitude and about being positive. I think I have on there, be positive, stay happy and don’t let the negativity of the world get you down. That’s my slogan. I love to tell people that. Just be positive. Stay happy and don’t let the negativity of the world get you down. It’s a choice. You know, positivity doesn’t always come easy. It doesn’t come natural Chris, it’s a choice that you make every day. Hey Chris, how’s it going? I am doing excellent. Are you calling from Tennessee? I am right here just north of, I understand, where you grew up. Am I right? That’s right. It’s so funny when I saw that. I know people personally that call me from 901. Yes. Ain’t that weird when you see an area code from your past? It’s kind of odd. Yes. It’s past and also present because I’m telling you, I have so many friends and family who are still down there and they want me to come back. It’s so funny because they are always trying to entice me with the food. They’ll say “I know you miss the barbecue” because I love to eat. That’s one of the biggest things they always entice me with, the food. When they say barbecue, I immediately think of Beale Street because there’s been a lot of weekends on Beale Street and eating the good old Southern barbecue. It’s great memory. Great memory. There’s nothing like it and it’s a unique experience. I just got to know Germany, so you were born and raised in Mississippi and you end up with the name Germany. How in the world? That was a God-sent name. I struggled a lot with getting into the entertainment industry. A couple of people encouraged me that I should do it and I was very uneasy about it and so was my family. I had to just go to God and say is this up to you? Is this something that you see for my life and if so, give me a sign. I woke up and the Germany Kent just clicked. It was there. It was just so…It was as clear as today is in LA. It was just bright and clear and I knew it was from here. That name has really opened a lot of doors for me. I know now that for sure, it’s confirmation that it was from him. I knew it at that time because we’re close and I listen to what he says. God sent it to me and I’ve just been working it. My grandmother who is 92, her name is Evelyn and my birth name is Evelyn and she always tells me that name is taken. She’ll say that name is taken, so you’re going to have to make another name. It sounds like you did it. Good for you. It’s so funny. I took it to him, the big man and so he sent me something that would work as well, but I am so proud of my birth name because I share that with her and that is another deep connection that we have. That’s how Germany Kent came about and it’s been a great journey. That’s really cool. You’re driving along, you got your headphones in, what are you going to listen to if you need to just get some more hope or positive attitude going in your own mind? What’s your favorite artist, track, where are you going to go? You know what? I only listen to two stations and I rarely play CDs at all. That’s Radio Disney and NPR. Those are the only two stations that I listen to in the car and when I am at home, I will type in radiodisney.com in a second. My favorite song right now, if you must know, is Sugar by Maroon 5 and now all my kids love it. That is so funny. I asked my son I said, you like that song? He says, “Mom, I hear you singing it all the time”. It’s so funny. Whatever is on Radio Disney, it’s safe. I feel like it’s a family oriented station and it’s something that I can share with my kids and we like it. It’s because we all like to sing together. I feel like if it’s on there then it’s appropriate and I just want to listen to things that are appropriate for them. That’s what it is. If I’m listening to something, if it’s not on Radio Disney or NPR, I probably don’t know that it’s going on. So, Maroon 5’s Sugar, Radio Disney and NPR. It’s about as diverse as your career. I love that. I love it. All right, last thing. I’m just curious as can be, who would you like to hear on this interview series? If you could pick anybody in the world, who would be most meaningful to you? So basically, this is who inspires me. That would be Suze Orman, Joel Osteen, that would be Iyanla, Fix My Life. Wow, that’s a big list. One of those three I would have to say because it’s amazing how many people have an impact on other people, but they may not even really realize just the magnitude of their outreach. You don’t have to be a Joel Osteen to have an impact, so to those who are listening, I’d say start where you are. You have influence where you are. Start today. That’s a great thing to close with. Germany, you’ve been just fantastic. You’re beautiful on audio recording as you are in person and your career, so many people you’ve touched, your family is getting so much of your time and attention, you’re just doing a lot of unique things in very, very special ways and I really appreciate you sharing with us today and giving to me and the rest of the I Share Hope audience a chance to learn from you. Thank you so much. Thank you so much Chris for having me. It’s been a pleasure. All right. You as well. Thank you.